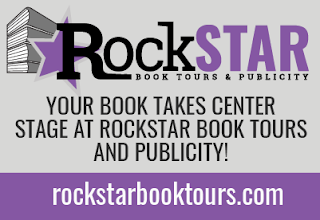 Rockstar Book Tours will review all tour requests received. If we feel that your book is a match we will make every effort to accommodate your request. As we are committed to giving each tour the attention it deserves, even if it is a match, we may not be able to accept all requests if we are previously booked. Review Package (reviews posted on Blogs, goodreads, & Amazon)-$50 this is for reviews only and does not include a tour or social media posting. Cancellation Fee: If the author or publisher needs to cancel the tour for any reason they will be billed a $25 cancellation fee. Note: Due to the number of requests we receive, we will only be able to respond to those tours we are accepting. Please allow up to two weeks for us to respond to your request for a tour. If you are a "new to us" author we will need to familiarize ourselves with your body of work prior to us making a determination. If you are an author we are already familiar with and there is a need for urgency, please add "RUSH" to the subject line and we will make every attempt to respond within 24 hours. YA - all genres (paranormal/urban fantasy, dystopian, contemporary, suspense/thriller, epic/high fantasy, sci-fi, action/adventure, horror, contemporary et al). No non-fiction. NA - (paranormal/urban fantasy, contemporary). We WILL NOT accept tours for Non-Fiction books! 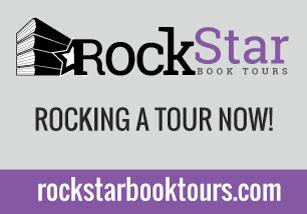 *Due to a conflict of interest, Rachel Clarke does not receive any money for the tour services at Rockstar Book Tours. Any assistance given on a tour by Rachel is strictly on a volunteer basis. Starting December 1, 2017, Jaime will be offering publicity services for both self published and traditionally published authors under the company name Rockstar Book Tours & Publicity Services, to find out about Jaime's publicity background click here. Services will include. Scheduling of social media spotlights, such as Facebook and Twitter Parties, Live chats, etc. Goodreads- I am a Goodreads Librarian so I can help with adding books to goodreads (including Synopsis, cover art, ISBN's, release date, etc.). Adding books to goodreads lists. Pricing will be discussed with the author and spots will be limited. Email rockstarbooktours@gmail.com for more information. 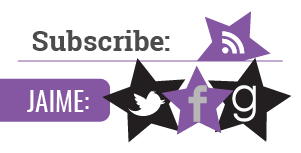 Hi Jaime & Rachel, fabulous ethos, and I'm emailing you directly! In addition to representing Julia Hughes, I'm chief editor on the book related site "Words Unlimited," which is committed to supporting indie authors. 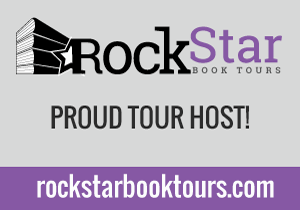 I'd be delighted to host any of your upcoming "Rockstar Book Tours". Hi,my name is Gerald Malinga an author of THE DEAD MAN ROARS.I would like to have a book tour with you.Please check my book review on my blog. Gerald Malinga’s The Dead Man Roars made it to the top six works of fiction shortlisted for last month’s Book Week public author reading, organised by the National Library of Uganda. Revolving around cattle raids, the novel explores how the people of the fictional Toibong and neighbouring villages react to raiders. Chief Ikoja, a fairly rich villager, seeks the services of Bombay, a witch-doctor, for charms to repulse the invaders with lightning. Among the three conditions that must be fulfilled in order for his son, Dibola, to receive the powers is a sacrifice of “the most highly-esteemed person in the village”. That is how Johny Haraka, preparing for his first year at the Ivory Tower University, is slain, and then disembowelled. Unfortunately for the Ikojas, Bombay’s prescription does not work, not even for himself – he is killed by the raiders for trying to resist looting. The charms will not stop the invaders’ raining gunshots. Yet Haraka’s clan will not let their son’s slayers go scot-free. They consult Jogo, the herbalist from Tumtum, to impose a ritual curse to avenge his death. With a stroke of his pen, Malinga strikes many in Ikoja’s household dead, thanks to the potency of Jogo’s portions, until a family elder recommends reconciliation with Matilda, Haraka’s mother. But the delegation from the now late Ikoja’s family will not stand the dead man’s roaring; they flee the cleansing exercise. The writer uses Olum’s encounter with a Christian group in the Machakura game park to indicate hope for the restoration of the late Ikoja’s household and the entire Toibong, thus “My Toibong will change”. Throughout the 105 pages of the book, Malinga gives the reader a feel of the culture in Toibong: the communal aspects; the teasing marriage procedures; superstitions; and death rituals. The 31-year-old medical laboratory technician paints a picture of the aftermath of the cattle raids, in the wake of the Idi Amin regime. However, Malinga allows unnecessary dialogues such as those of what the characters’ next moves are. Some characters often seem like disinterested movie actors being forced to follow a script; some of them are emotionless, even when it is obvious that they should not be detached. He could also have retained more interest through suspense. Nevertheless, The Dead Man Roars is a well-knitted story worth hours, even days of reading: it is a good first novel. -- description: Paul Russo’s wife just died. While trying to get his family’s life back in order, Paul is being tormented by a demon who is holding his wife's spirit hostage on the other side. His fate is intertwined with an old haunted mansion on the north shore of Long Island called Stillwell Manor. Paul must find clues dating back hundreds of years to set his wife's soul free. Please take Stillwell: A Haunting on Long Island, into consideration for your upcoming book tours. I look forward to hearing from you. After reading this post, People can judge prices of different tours. This is very beneficial for everyone. People can easily select cheaper and better services tour. Keep giving updates. I am very much interested in jumping on one of the tours in March. Anything info you can swing my way would be appreciated. I'm thinking the Review Package (reviews posted on Blogs, goodreads, & Amazon)-$50 this is for reviews only and does not include a tour or social media posting.